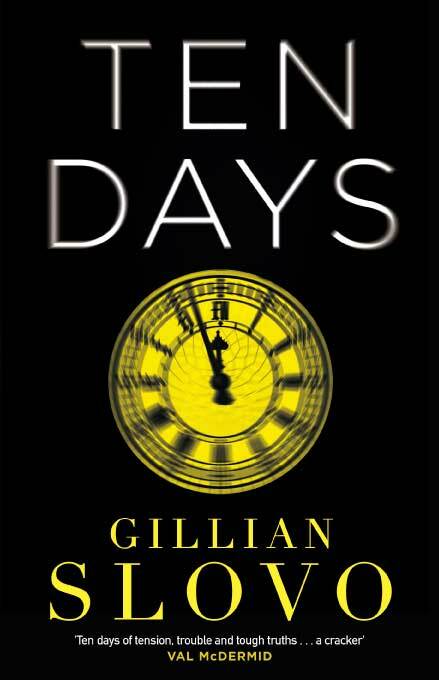 Gillian Slovo’s Ten Days started life as a play that explored the London riots of 2011. The play itself was based on a series of interviews and transcripts. The novel follows the outline of these events but ficitionalises them, which gives Slovo a broader scope than that original piece and some licence with her exploration of character and motivation. But it still centres around a week of intense heat in which the disaffected and disenfranchised went on a rampage in London, in a wave of violence that spread across the country. Ten Days opens ominously. An early morning discussion between single mother Cathy and the man who has spent the night in her tower block apartment is photographed by a passing police helicopter. Slovo litters the narrative with redacted extracts from the inevitable investigation into the events she depicts, giving the personal view of the events and emotionless and stilted counterpoint. The Lovelace Estate, Cathy’s home, is slated for demolition and already the estate is riddled with empty, boarded up flats. A heatwave is driving people onto the streets at all hours and the police, expecting trouble from this part of London, are already in a heightened state of alert, putting them on a collision course with the public. The situation is not helped by political machinations of the Minister of State as he manoeuvres for support of the party, using the police force as a political football. Using multiple points of view, Slovo puts the reader into the middle of the riots as they kick off. She explores how the response of the police is partly informed by political expediency and partly by poor training and a deep misunderstanding of the population they are supposed to serve. There is also plenty of opportunism on behalf of the rioters, many of whom use the events as a way of expressing their racism or just as an opportunity for theft. But there is no doubt who’s side Slovo is on here. The politicians are all venal and self serving, many of the senior police too, are playing the political game. While the people at street level (at least those we meet) are, on the whole, just trying to live their lives and protect their community. The only main character who even takes part in the actual riot has a change of heart before he can get up to no good but still gets arrested. So while the narrative might have been based on actual interviews and transcripts, many of the characters, particularly the politicians and those around them, end up being symbols or archetypes of the conflict. Given its theatrical origins, Ten Days would lend itself to a television adaptation where English thespians might be able to breathe more subtlety into some of these characters than comes across on the page. Despite any shortcomings, Ten Days is still an instructive exploration of the drivers of the unrest that shook Britain in 2011. Slovo dissects the various levels of power and powerlessness that drive these incidents, showing how the tyranny of small decisions can snowball into disaster. Poor training and resourcing and the need for deep cultural change in the police force is shown as part of the cause. But it is also clear that the force has also been put in an invidious position of protecting the public and protecting the city while answering to their political masters. The circumstances that gave rise to the 2011 riots have not all gone away and Ten Days is, if nothing else, a timely reminder of the fragility of the social contract that underpins our day to day existence.